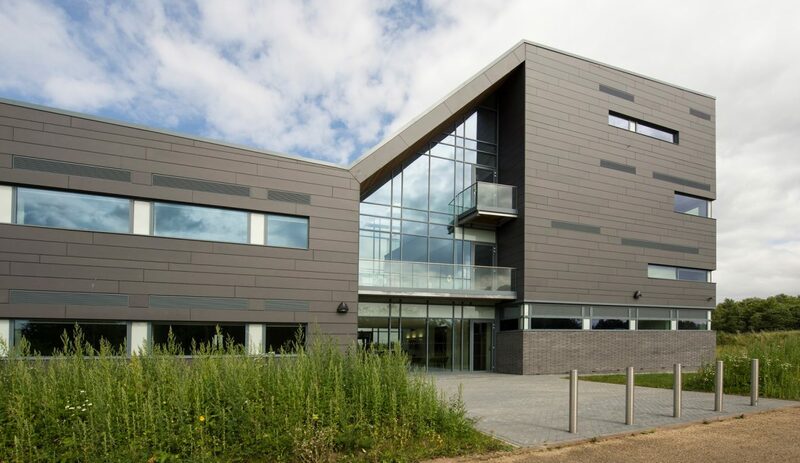 King’s Lynn Innovation Centre – providing a contemporary look to the newest business hub within the Nar Ouse regeneration area. 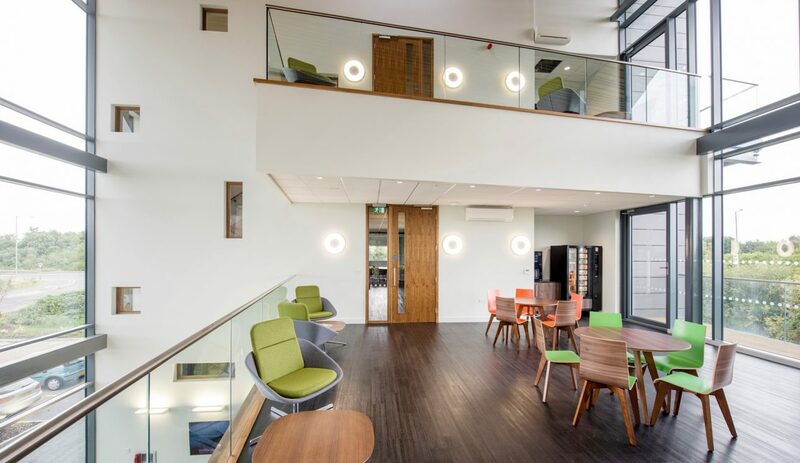 The business centre is operated by the leading enterprise agency, NWES. NWES aims to provide local business support services including mentoring, one to one advice, workshops and financial support. 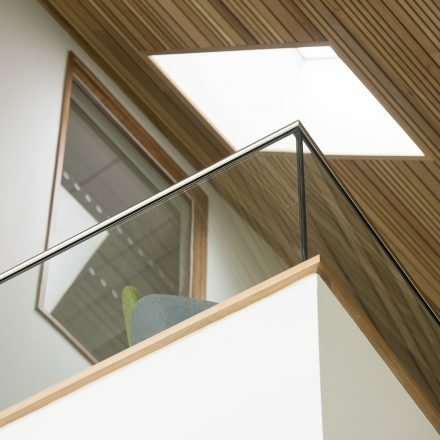 In addition to this, King’s Lynn Innovation Centre provides West Norfolk with modern office space and conference suites. 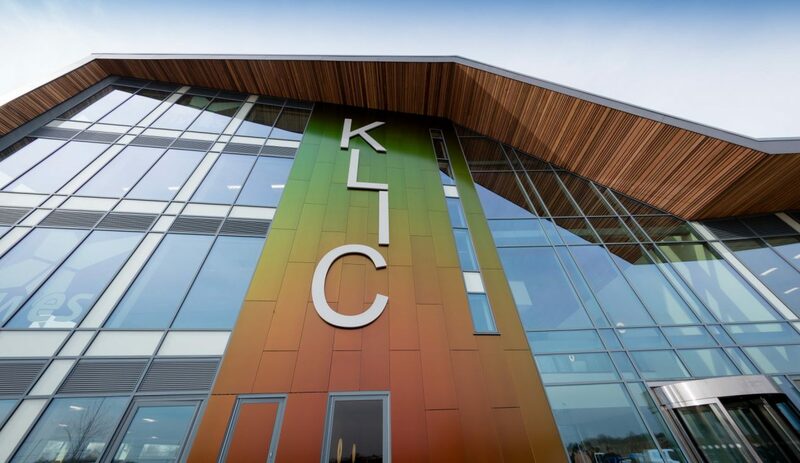 The centre is designed to empower business professionals and allow them to network and engage to enable economic growth in the King’s Lynn region. 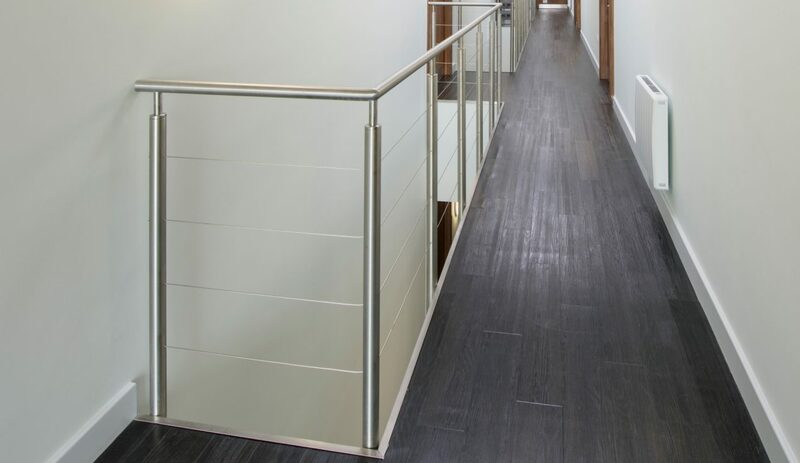 The balustrade could not be fixed to the composite floor deck in the internal walkways. The steel structure for the internal and external balcony areas was significantly lower than the finished floor level. 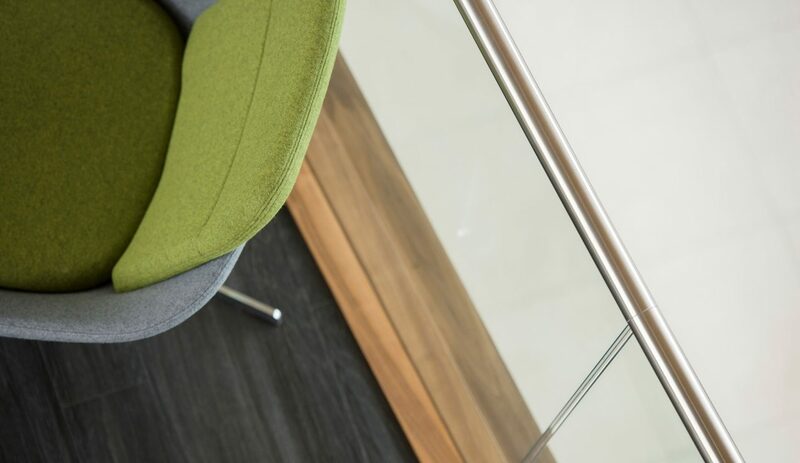 Clarification was needed on the loading’s to ensure that the regulations were met without adversely affecting the final balustrade contract sum. 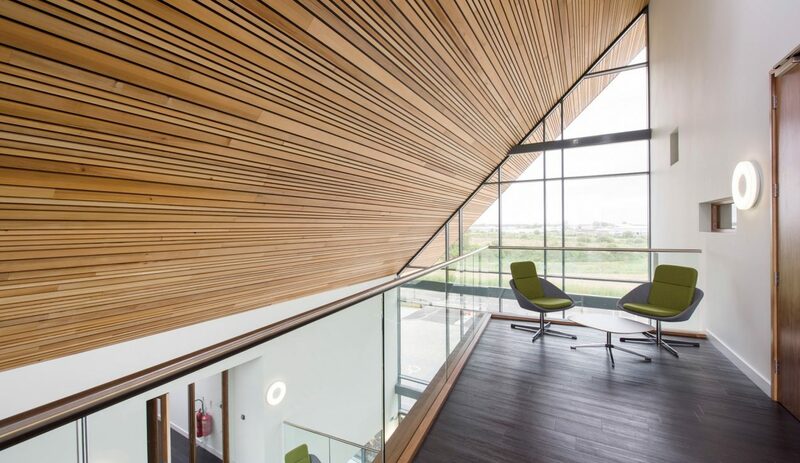 Following significant pre-contract design development, BA Systems were appointed by RG Carter to provide balustrade solutions to this striking “ski jump” building. 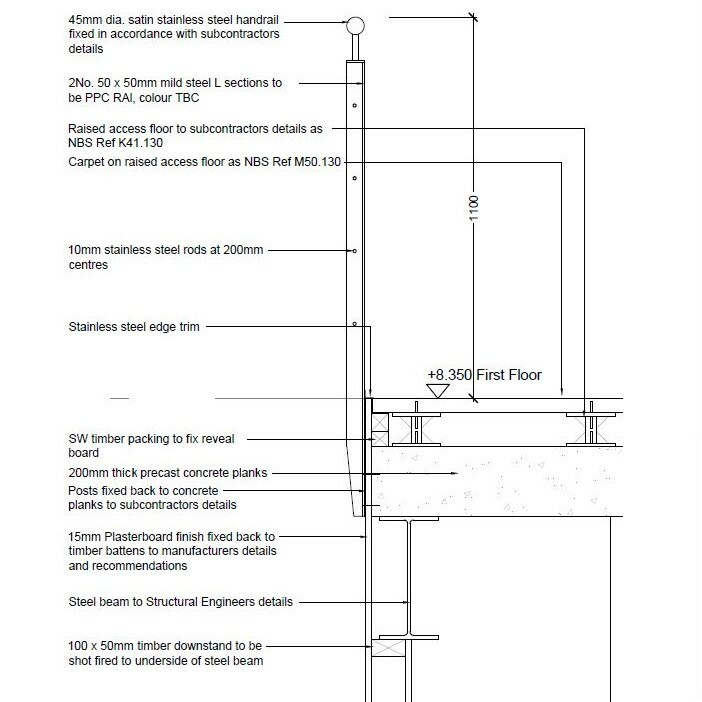 The B20 system, with stainless steel posts and wire infills, was finally proposed for the internal voids and stair cores. 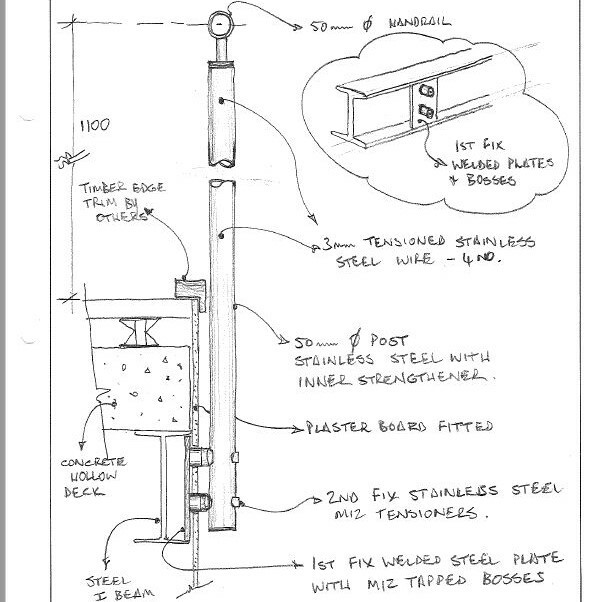 However, in order to maintain the necessary 0.74 kN/m loading in the walkway voids, the BA Systems technical team had to design a steel fixing plate (see the drawings below showing the development of this concept). 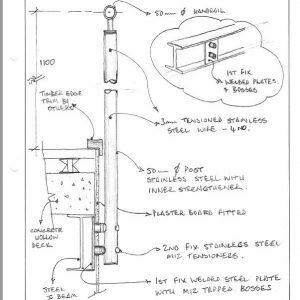 This plate was then welded onto the steel beam below the composite floor deck at an early stage so that once the wall finish had been applied, the 2-point balustrade post fixing could be installed. 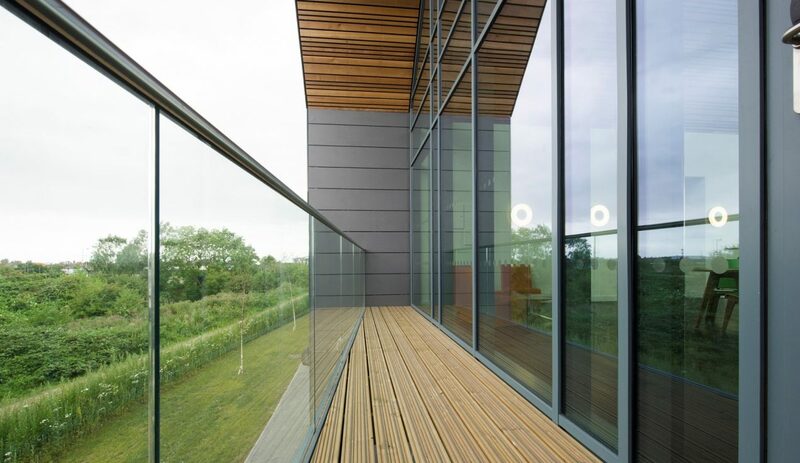 R G Carter chose the B40 Frameless Glass balustrade with a stainless steel slotted handrail for the internal and external balconies to the main void area. 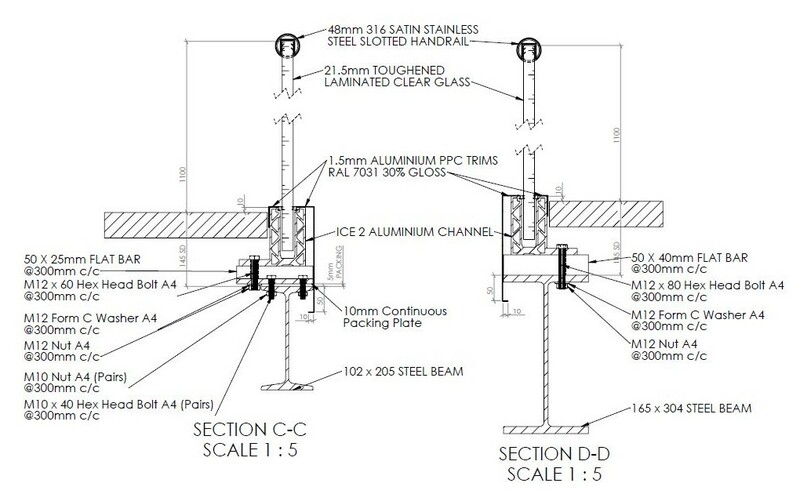 In order to elevate the ICE1 balustrade channel off the steel beam (see fig. 3), a steel box section was designed for the channel to be fixed to. 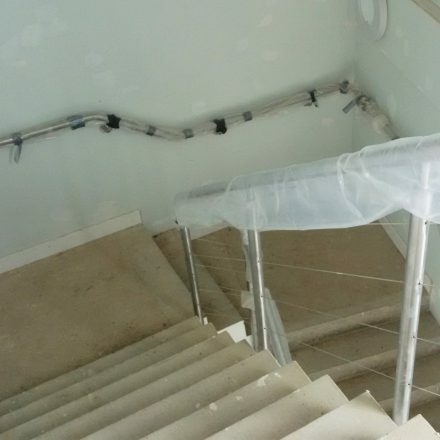 This ensured that the top of the balustrade channel finished just above the finished floor level. 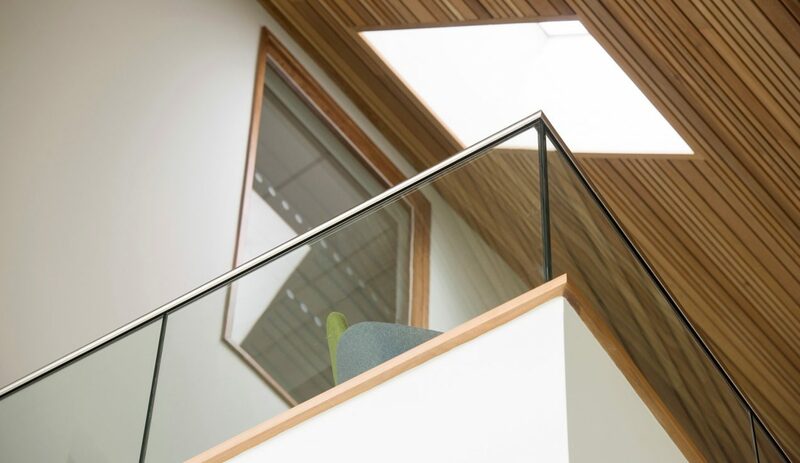 21.5mm toughened and laminated clear glass was used to meet the specified 1.5 kN/m walkway loading in this central area. 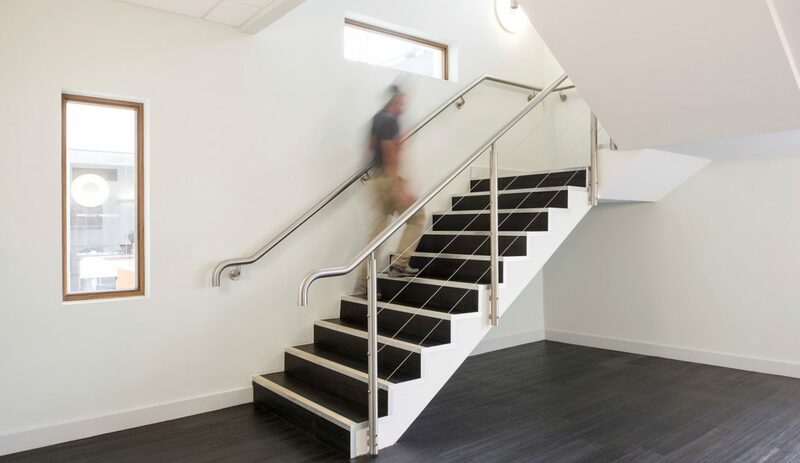 At execution stage, the site surveyor and project manager worked closely with the R G Carter site team to proactively ensure that our balustrade works were synchronised with the surrounding trades. 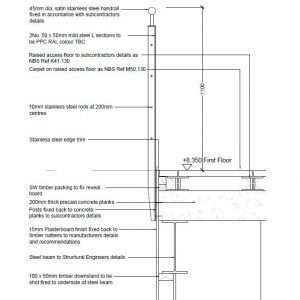 This was especially essential for the internal voids, where the early installation of the steel plates had a small window of installation time. 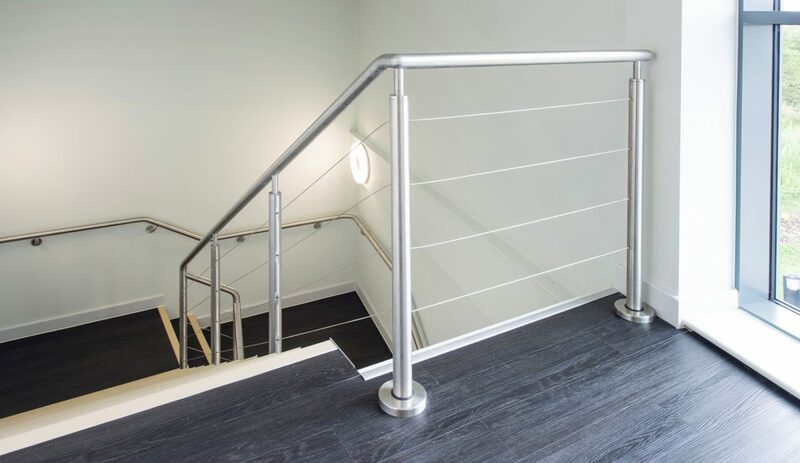 The stainless steel and glass balustrade gave a clean, contemporary and unobstructed appearance to this prestigious project. 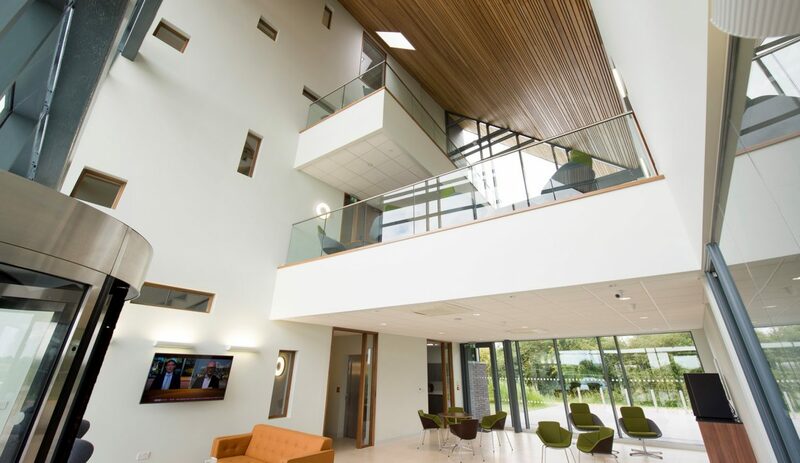 With a successfully executed balustrade installation, R G Carter handed over the project to the client within the final contract timescale.